Townsend makes life easy with an abundance of features. Enjoy every modern convenience you could need including a 24-hour doorman and a state-of-the-art gym. 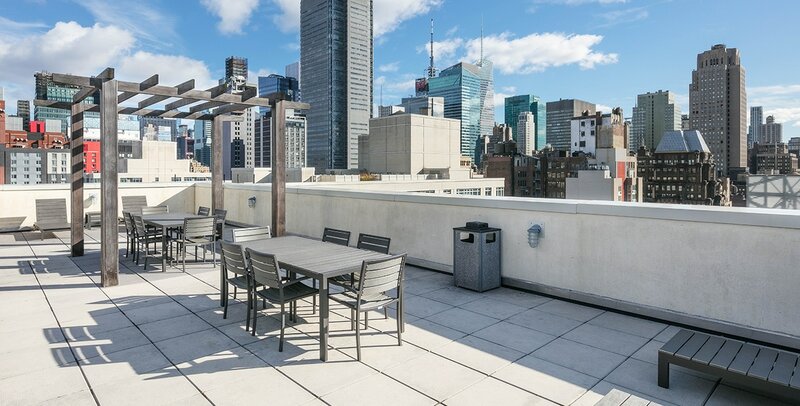 From top to bottom, there are a wealth of places to relax and unwind including a furnished rooftop and a full-fledged entertainment center. 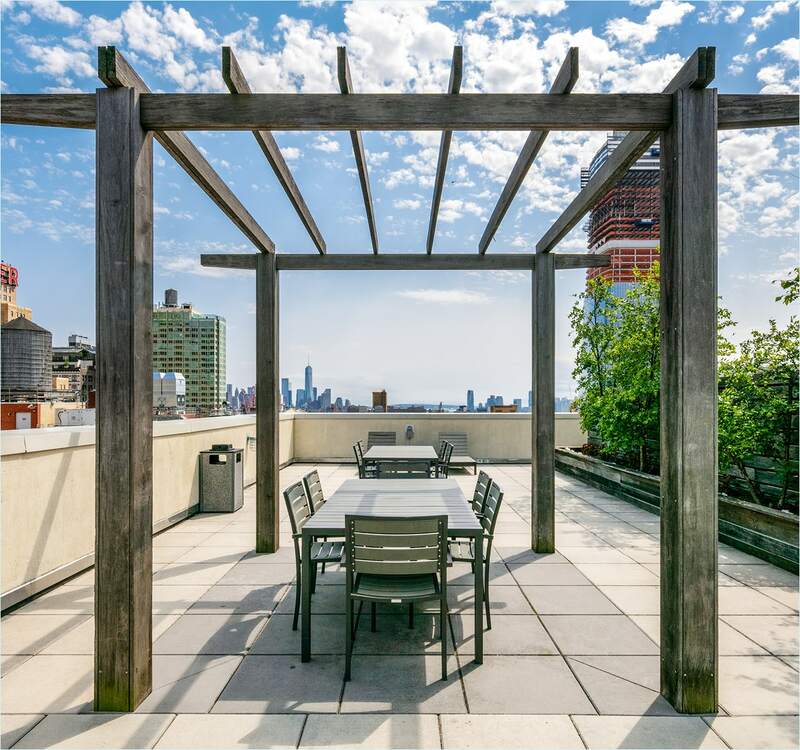 The landscaped sun deck and furnished terrace is just the right place to take in panoramic views from the Hudson River to the iconic buildings of the city. 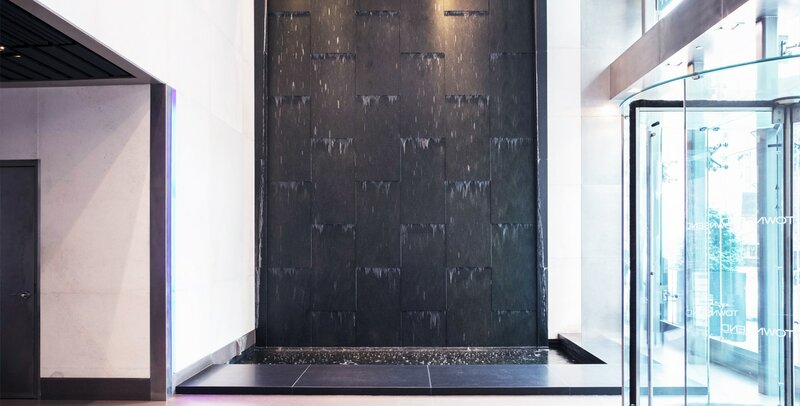 Feel the rush of calm from our twenty-foot water wall. Bright, airy and open with soaring limestone walls, smooth stone flooring, concierge, and 24-hour doorman services. 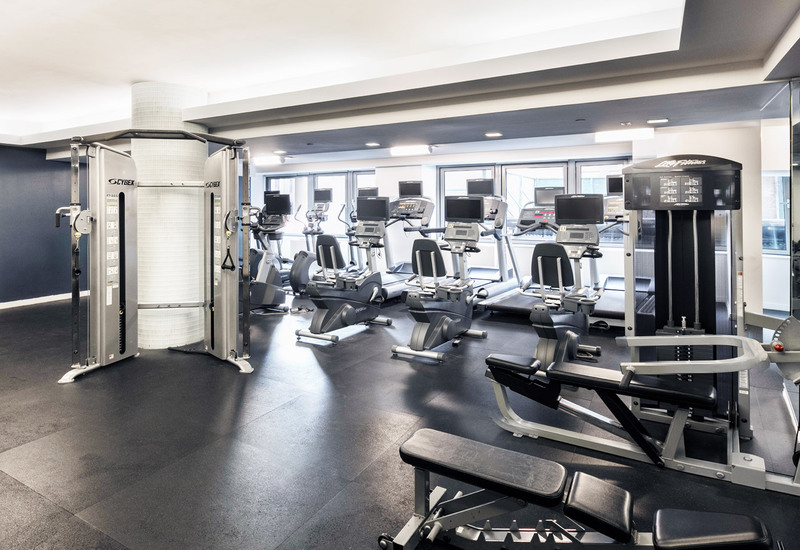 Our top-of-the-line fitness center adds convenience to the life at Townsend. 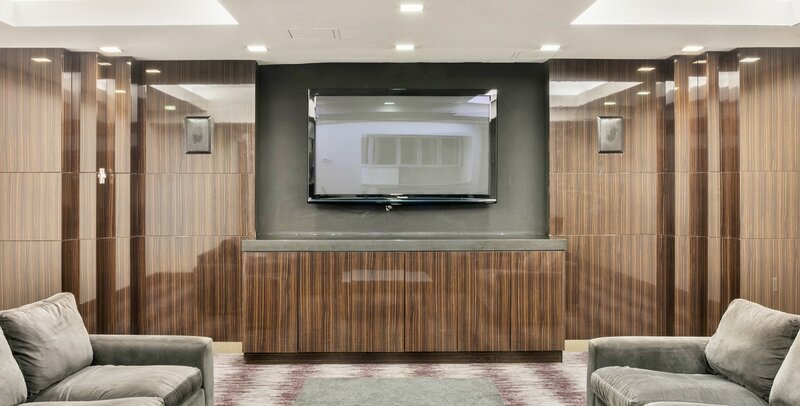 The residents’ lounge features a large screen TV and kitchen for entertaining.